One refinery was running a very complex parallel network and workers knew adhering to standards was the way to ensure a secure environment, save money, keep the system up and running for a more profitable enterprise. 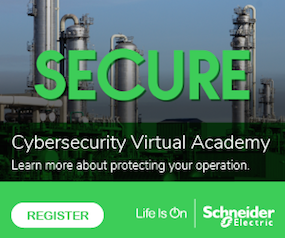 Refinery security experts did a risk assessment and through their understanding of the IEC 62443 security standard they looked at the zones and conduits model which led to a risk analysis that unlocked a series of threat possibilities. That discovery allowed refinery workers to understand where their weaknesses were so they could keep the system up and running which allowed for greater productivity – and profitability. Indeed, part of a defense in depth model calls for segmentation via zones and conduits which is part of the IEC 62443 standard. This model helps lock down a network. Under this scenario, a user should only allow minimum required traffic into zones, and when threats do come through, alarms sound. A conduit is a pathway of communications that exits and enters a zone. A zone is a specialized area on the network that needs protection. The threats they understood for the refinery were a release of hazardous products, a process reactivity incident and a process shutdown. They then created a chart that looked at the vulnerability, then the possible threat source, skill levels, potential consequence, severity, likelihood and the risk. When they looked at the process shut down they found an interesting development. The chart showed the users they never considered the safety system to be a security threat. The safety system was so critical it needed its own zone separate from the control system zone. As a result of the overall analysis, they ended up protecting the entire refinery with 14 firewalls which cost less than $200,000. To put that number into scale, the cost was small for the huge refinery. For any small- to medium-sized business, the cost would scale much lower. In an industry that relies upon improving productivity to boost profitability, this was another case of how standards can come to the rescue to secure a system and keep a facility up and running. There is no doubt understanding standards is vital for the technically-minded and process-driven engineering and operational staff, but it is also important for executives that key in on making the right business decisions. From an executive level, knowing the benefits and advantages of following standards will boost productivity and profitability. “There is the carrot and the stick. The carrot is meeting those standards will drive better engineering practices and overall costs will go down, plant efficiencies will come up, operations and maintenance costs and insurance premiums will reduce,” said Sven Grone, Safety Services Practice Lead for Asia Pacific & Middle East at Schneider Electric. “studies have proven what those elements will give you. There are good commercial reasons to want to make sure good safety practices are part of the design and operation of the plant. That falls in line with research reports that show policies and practices often supported by standards of top tier responders differed sharply to those that are less proactive in the bottom tier. Top tier security providers are 2.5 times less likely to experience a major cyber attack and 3.5 times less likely to experience downtime, according to a report from Symantec. In addition, the report showed bottom tier organizations did not train employees on security best practices as often and they were likely to suffer heavier losses after a successful cyber attack. Bottom tier organizations suffered 2,765 hours in cyber-related downtime, compared to the 588 hours suffered by the top-ranked organizations, according to the report. Any executive would jump at the chance for an additional 2,177 hours of uptime. In another study from Aberdeen, it showed how top tier safety players compared to the bottom tier. A manufacturer that was in the top tier of safety levels would have a 0.2 percent of repeat accident rate, 0.05 percent of injury frequency rate and 2 percent of unscheduled asset downtime. That compares to bottom tier performers that have a 10 percent repeat accident rate, 3 percent injury frequency rate and 14 percent of unscheduled asset downtime. Yes, standards are technical in nature and can make any executive scratch their head in the minutiae, but understanding what they could mean to the company can help lead to an overarching operating procedure. Standards often take time for manufacturers to adopt them, but within two years, the Cyber Security Framework now sees use by 30 percent of U.S. organizations and that number could reach 50 percent by 2020. Produced after a year of intensive collaboration with industry, the Cybersecurity Framework is now a tool used by public and private companies and organizations, from retail chains to state governments. The framework is now used by 30 percent of U.S. organizations, according to the information technology research company Gartner, and that number will reach 50 percent by 2020. The framework helps translate sector specific risk management jargon and “creates a common understanding amongst the sectors around various risk management terms and phrases,” according to a report by the Financial Services Sector Coordinating Council (FSSCC). The framework is a risk-based approach to managing cyber security. The framework’s core ideas — identify, protect, detect, respond and recover — help users evaluate their cyber risk and develop plans to manage it. It can guide them as they determine the cyber controls they choose, with consideration of any regulation or standards that may apply to their particular industry sector. Yet, another idea behind standards is not that they are technically-focused, but everyone within the organization needs to have an understanding of the meaning behind them. The beauty of standards is they can give a solid framework from which to work. “Standards create a baseline as to what organizations should be doing at minimum level of compliance. That is the baseline for a standard operating procedure across every system in your organization. If you do this you are more secure than you were before,” said Joshua Carlson, Cybersecurity Manager for North America at Schneider Electric. “It also gives us the ability to measure ourselves. We can go back and ask: Do I have a good firewall in place? Does it minimize ports and services capabilities? Do I have end point security protection with antivirus? Whitelisting, device control, removable media control: Do I have them in place and are they up to date? Measure yourself against each of those components, back ups, disaster recovery, procedures and capabilities and you can say I have a good baseline coverage across the group. “ISA 99 and IEC 62443 (security standards) definitely give us guidelines, but they are not bulletproof,” Abdallah said. “When we really talk about this, it all comes down to risk and how we can manage it. We need to manage risk because we will never be able to eliminate it. Standards really come into play when there is an incident and it gets into litigation or insurance, then people come in and measure what are the industry practices and were you doing things according to industry practices. Knowing how your organization will end up judged and converting your weaknesses into strengths are all main factors in applying standards from the plant floor up through the executive suite.